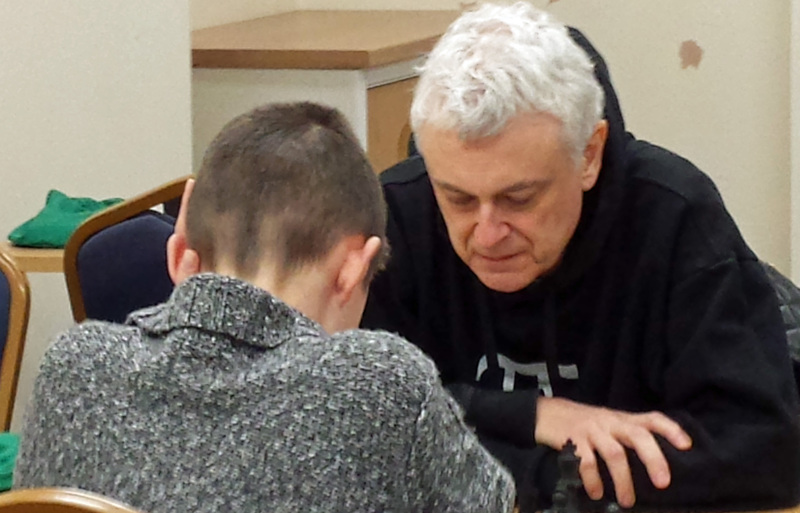 A grandmaster visiting a chess club tends to be a rare occurrence, but this is just what occurred at Bude Chess on Thursday 22 January. How did this happen? Well, the previous Friday the organisers received an email from GM Dr John Nunn saying that he was in Bude the following week and could he pop along and play some games. Naturally they jumped at the opportunity. Why? Well, he’s ranked 7th in England at present. He was once in the world’s top ten. 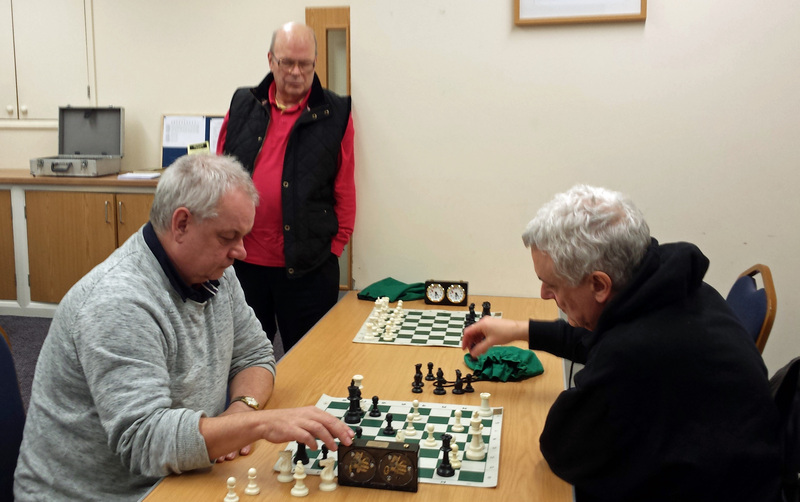 He recently came third in the World Over-50s Chess Championship. He’s a well-respected chess author. Who wouldn’t jump at a chance like that? (A bit like Wayne Rooney saying that he’d like to have a bit of a kick around with a local football club). On his arrival he was asked what he would like to do and he suggested playing 5 minute blitz games. That’s a mere 5 minutes to make all of your moves. I’d struggle to play a grandmaster at long-play chess (3-4 hour games). In fact, I struggle to play anyone at blitz chess! However, Bude Chess has a secret weapon in the form of 14-year-old Theo Slade who’s recently had experience of playing grandmasters. So it was quickly decided that Theo should play John. Two very good games ensued, which we all enjoyed watching. John won them both. John then looked around for the next lamb to the slaughter. The club volunteered Simon – their other strong player. Two games followed. John won them both. He worked his way through all of the players in the club until only my husband and I were left. My husband helpfully volunteered me. Just like all the players before me I lost both games. Forks, pins and skewers seemed to appear out of nowhere. Pieces were attacked and had to move away leaving others ‘en prise’. All the time my time was running out, whilst John seemed able to move in an instant. Finally it was my husband’s turn. I’d like to say that he turned the tables. He didn’t. He played two games. John won them both. After playing Theo again, and winning again. Grandmaster Dr John Nunn chatted to us about his life in chess, his long walks around Bude, and signed Theo’s copy of his latest book. Hopefully he’ll be back. Hopefully we’ll get to play him again. No doubt he will again win all of his games. Would you play a chess grandmaster? 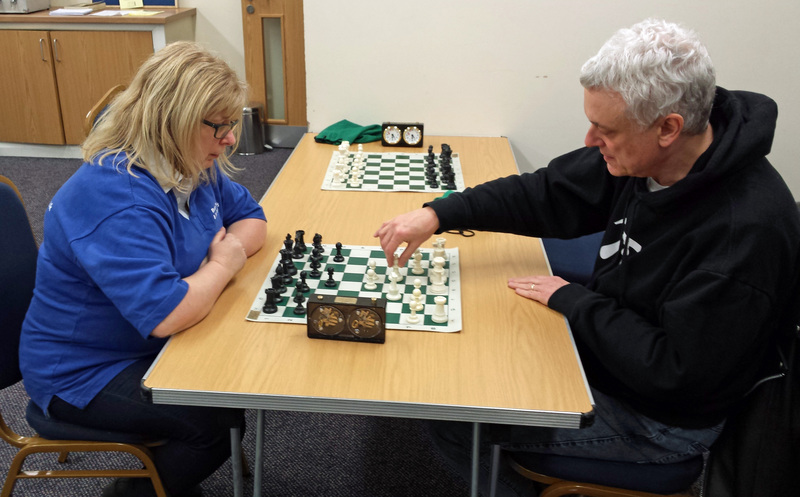 This entry was posted in Bude Chess, Chess, John Nunn, Trophies & Engraving and tagged bude, bude chess, chess, chess club, grandmaster, John Nunn.